If you have holes in your trees it could be the work of a bird instead of a bug according to Dan the hort man. The Yellow-bellied Sapsucker drills into the tree to apparently eat the phloem and drink the sap. 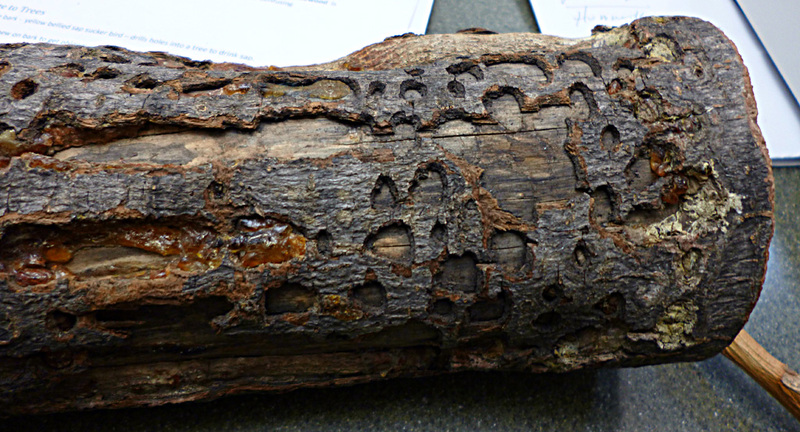 The orange hardened substance in some of the areas is the sap which has dried. Below is a nice video of the YBSS in action. Almost daily I have visits from hawks in my garden. They know that with all the seeds I have, that mice and voles will certainly be visiting. 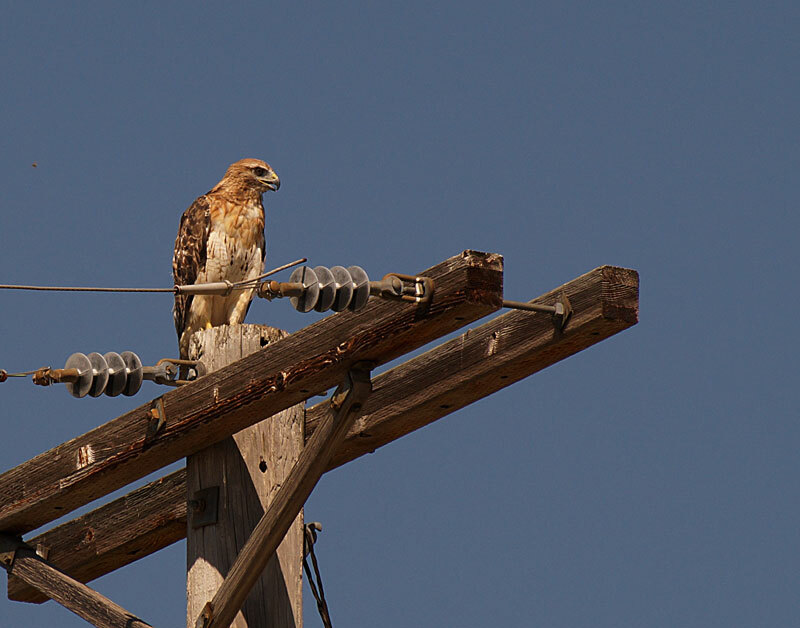 This one likes to perch on telephone poles and watch the action below. One of the bonuses of a butterfly garden is that you also attract loads of goldfinches. I’ve noticed recently that certain lantana plants (Irene is shown) produces lots of berries and that the Mockingbird seems to like them. 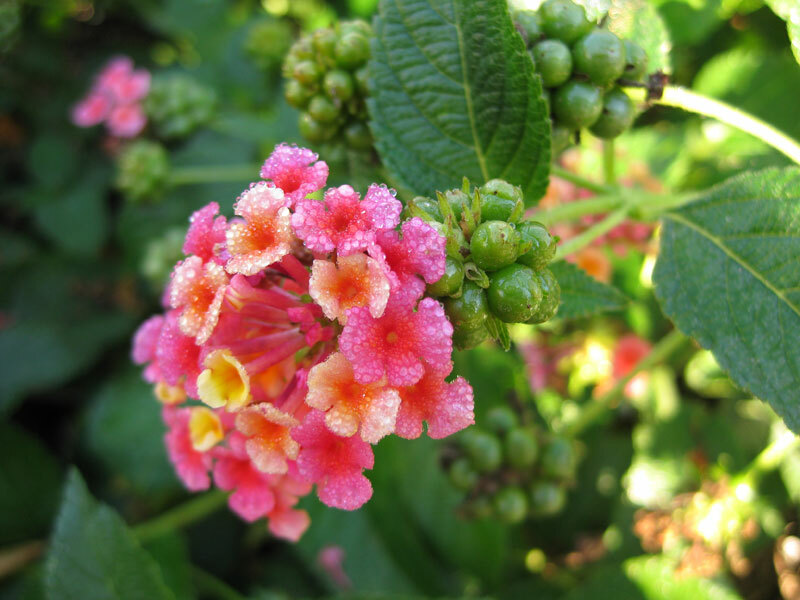 Up north the seeds won’t sprout outdoors, but it’s nice to know that lantana is providing nectar for the butterflies and food for the birds.